Dr. Dresely is a Developmental and Behavioral Optometrist in Chantilly providing complete vision care services for both children and adults. Dr. John Dresely was born in North Carolina, but grew up all around the United States and in Germany as the son of a U. S. Marine Corps officer. Northern Virginia was as close to a home base as was possible. He attended Ripon College in Wisconsin, before earning his Bachelor of Science and Doctor of Optometry degrees from the Southern California College of Optometry. Dr. Dresely is a board certified Fellow in the College of Optometrists in Vision Development, with over 30 years of experience. He is also a member of the Virginia and American Optometric Associations, as well as the Optometric Extension Program Foundation and the Virginia Academy of Optometry. He and his wife reside in Centreville, and when he’s not in the office, he’s probably on the golf course. Don’t hesitate to call or e-mail Dr. Dresely if you have any questions or would like to set up an appointment. Lori is a Certified Optometric Vision Therapist (COVT) since 2013 and sits on the International Certification andExamination Board of the College of Optometrist in Vision Development (COVD). 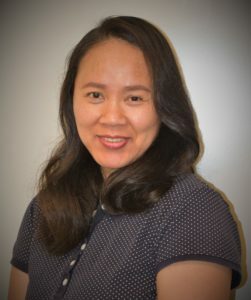 She is always on the forefront of new ideas and techniques that address visual processing disorders. Lori has a gift at evaluating a patient’s orientation and mobility skills, cognition, physical abilities, and personal goals to develop an individualized, all-inclusive therapy plan. 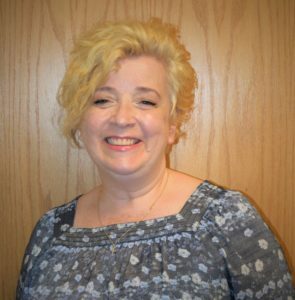 Prior to joining us Lori served as the chief vision therapist at Virginia Vision Therapy Centers for nearly seven years and has been a therapist for well over a decade. Along with her caring approach towards patients, she honored the practice’s therapeutic quality standards, and receives high praise for the dedication she demonstrates towards patients. Lori enjoys country living, being in the mountains, and on the river. She loves spending time with her 4 dogs and her cat. Jessica came to the office in August 2016 and has been a valuable asset since then. 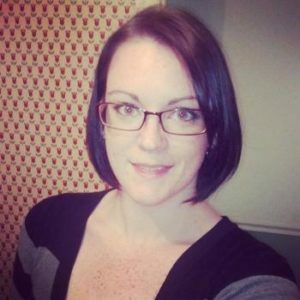 She is a native of Northern Virginia and comes to us with a Certified Nursing Assistant background. She has spent many years working with elderly patients in facilities, and in home settings. She has spent the majority of her adult life in various customer service and patient driven roles. As a child, Jessica grew up in the foster care system and came out on top! This gives her the ability to understand and connect with children in similar situations. She has given her time to her two sons, Mason and Oliver, who are fourteen and seven. At home she enjoys the company of her cat. In her free time, she loves to knit and crochet, and dabbles a little in photography. Rose was born and raised in the Philippines. She attended college at Southwestern University in Cebu City, Philippines. She worked in an optometric clinic for a few years before taking up an eight year career in the airline industry living between Europe and Canada. In 2017 Rose decided to settle down in northern Virginia where she found her way back to optometry in our office. She finds great pleasure in helping change the lives of our patients.